Elli Eversol used to spend every summer at her grandparents beach home in Sand Dollar Cove, North Carolina at Sol Mate. Her grandparents own a shop on the pier that she would help with. That pier and stores mean a lot to them her great granddaddy built it all. That is where her granddad met her grandma. She was always so proud of the fact that her great granddaddy had a part in the whole pier experience as well as her grandparents. The year she went off to college was a terrible summer. She had been madly in love with Holden Moore that summer the local surfer boy. She would work at the store in the morning and watch him surf the afternoons away. Then he got accepted to Harvard and he told her even a girl as cute as her couldn’t hold him back or keep him down in this one-horse town. She was crushed. Not to mention that was the summer that her grandfather passed away. Water under the bridge as her grandfather would say. Her life went on except she’s measured every guy to Holden. Now she is home for a visit because after a hurricane and then a Nor’easter it took out most of the bridge and all of the businesses pretty much. Soo Elli started fundraising campaign to rebuild the shops on the pier. In very short time they had doubled that amount. They asked for a craftsman that could engrave each piece of wood for the donors who paid $250.00. They got five offers but they chose Brody Rankin. Not only did he have the time but he could fly himself out. If they would just give him a place to stay. Walla! Brody no one knows is a wealthy California businessman who owns a chain of box stores. We’ll have to see where that goes right? But Nana Eversol has matchmaking plans for this Adam Levine look alike. But wait while having breakfast the next morning with her BFF Pam, when who walks into Pam’s Spa & Resort & Restaurant? None other than Holden Moor. Pam says she forgot to tell her that he moved back into town. She is not happy. First Pam doesn’t tell her that Pam and her husband are getting a divorce. Now she doesn’t tell her that her ex-boyfriend has moved back into town. Upon seeing him she doesn’t know whether to be happy or be mad seeing him again. What does Pam do she calls him over to the table to say hello and let him know that Elli is in town. Elli wants to kill her. Can Elli keep all the balls in the air? She arrives back home after 5 years and on the first day she is confronted by her ex-boyfriend who dumped her. He starts campaigning hard to get her out on a date. She goes then all-out war begins. 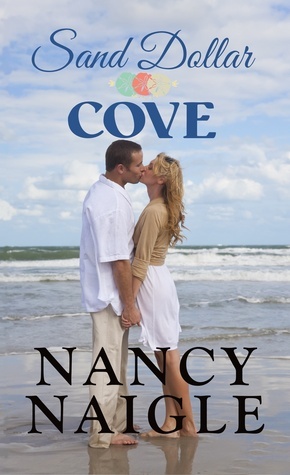 Brody is there to help her pick up the pieces to keep her grandparents love story alive. Is Brody friend or foe? Guess you’ll have to read it to find out if they have 20/20 or not.